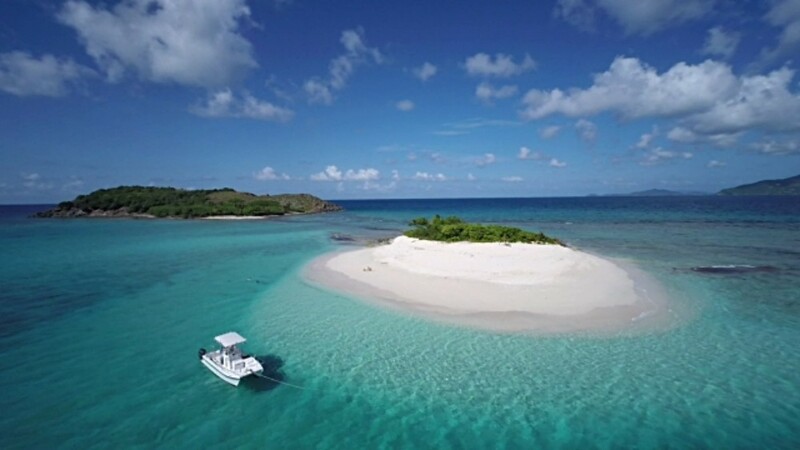 This British overseas territory is part of a volcanic archipelago and counts four main islands as well as many islets, making it a perfect yachting destination. The British Virgin Islands are a collection of 60 islands, cays and islets located in the Northeastern Caribbean- each offering its own special and unique charm. Whether you decide to stay in a beachside lodge, a luxurious villa or an elegant hotel, you’ll be able to enjoy a whole myriad of activities on your holiday. From snorkelling and scuba diving to relaxing amidst the lush vegetation or on a deserted beach under a swaying palm tree- the only difficult decision to make here is what to do first! Hopefully we can help… find out more about the beautiful islands, friendly people and the activities on offer right here. The biggest of the British Virgin Islands is Tortola; a diverse island with green slopes of Mount Sage and harbours filled with white yachts, beautiful hotels, pretty beachside cottage and neat villas. Tortola Island can offer you a whole range of exciting British Virgin Island holiday options. Local legend has it that the name was originally given to the island by Christopher Columbus, meaning "land of the Turtle Dove." Visitors to Tortola Island arrive either by boat or fly to Beef Island and take the drive across the short Queen Elizabeth Bridge to Tortola where they are met with the white-sand beaches, such as Cane Garden Bay which is usually filled with boats and activities. The islands boast a varied topography, ranging from the peaks of Virgin Gorda standing at 1,400 feet and Tortola at 1,700 feet, to dense tropical foliage and lowland desert covered with boulders and huge cacti. If you land at Beef Island Airport, you’ll have far reaching views of white sails and bays with anchored cruisers that appear as dots at Sir Francis Drake Channel. Once on the ground, you won’t mistake the desire to get the sun on your face and the cooling breeze across your skin. The second largest island, Anegada is a coral atoll and unique in the sense it the only non-volcanic island in the chain. Translated, Anegada means "Drowned Land", its highest point is just 9 metres above sea level. Anegada is home to some of the loveliest beaches in the Caribbean, named after their history; Cow Wreck Beach, Loblolly Bay and Flash of Beauty, and you’ll probably have the beaches to yourself so spread out under a palm tree and enjoy the breeze across your face. Virgin Gorda is the third largest island in the chain and home to The Baths. The island boasts steep vegetation-covered slopes that tumble down from Gorda Peak to meet the deserted white beaches right down below. 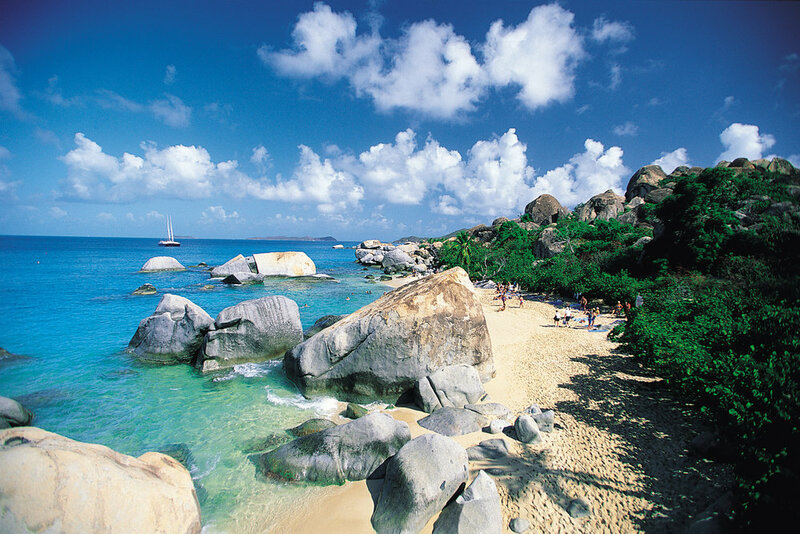 Travellers are drawn to Virgin Gorda for its yacht clubs and quiet coves amongst the luxury resorts and villas. "The Baths" are an unusual geologic formation located on the southern end of the island which makes Virgin Gorda one of the major tourist destinations in BVI's. Here, you can see evidence of the island's volcanic origins as massive granite boulders which lie in piles on the beach. Jost Van Dyke is named after an early Dutch settler who had a reputation as a pirate. The beaches here are unspoilt and quiet- perfect for a sunbathing. Choose from White Bay, Great and Little Harbours; you can even hop across to Little Jost or take the little boat to Sandy Cay and play castaway for the day, or simply sit back and relax in the natural bubbling pool Jacuzzi. You can arrive to the British Virgin Islands by air at the tiny Virgin Gorda airport or larger Beef Island Airport next to Tortola, or on one of the ferries from the US Virgin Islands, or hop off your cruise ship at Road Town Harbour. Wherever you begin your adventure, ensure you have time to explore all that these beautiful laid-back islands have to offer. If you plan on visiting a few islands, the ferries that operate between the islands are a good way to get around and rental cars are available on Tortola and Virgin Gorda. Scuba diving, snorkelling, fishing, sailing and windsurfing are popular water sports here and as such you’ll find hiring the equipment and finding tuition if you need it fairly easy. If you prefer to spend your afternoons on land, take a relaxing hike, play some tennis, go biking, or have a walk along one of the white sandy beaches. With all this to do, shopping isn’t on many peoples priority lists, but if you do fancy a browse in some shops, head to Road Town, Tortola and Spanish Town, Virgin Gorda.